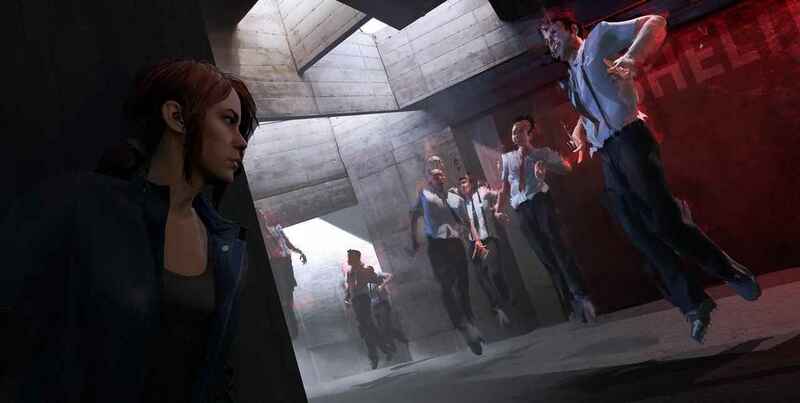 Control is the upcoming supernatural action-adventure game from Remedy Games that I got to see up close and personal while attending GDC. After a brief setup of the Control story I was introduced to a hands off play through of the first part of the mission called Marshall by Remedy’s own Thomas Puha (Communications Director). He then handed the controller over to me and for twenty minutes I got to experience the game for myself. Playing a game for the first time while some of the people who created it are watching you, is both exciting and frightening. You kind of go in feeling like a rockstar being given special treatment, but then once that controller is placed in your hands, the fear of possibly being a failure as the developers and PR watch on isn’t as ideal as it sounds. Although, it’s still pretty cool! At the center of the game is the Federal Bureau Of Control, a secret government agency that specializes in studying supernatural phenomena. You play as Jesse Fadden, the newly appointed Director of Control. Jesse clearly possesses some sort of powers herself which will grow stronger as you gain other skills and abilities such as Seize, which allows Jesse to temporarily enchant weakened enemies to fight alongside of her. Control takes place at the FBC’s New York headquarters known as the Oldest House which is a building that constantly changes making the location seem almost endless. In fine Metroidvania style, players will gain access to additional secrets and areas once you learn more abilities. A separate dimension that continuously pops up is is known as the Astral Plane. It is attached to the Oldest House and the Bureau itself, and is one of Control’s most cryptic entities that is looked after by an even more secretive panel. Both character and weapon mods are available for Jesse and her service weapon which provide an RPG like feel to character development. These mods are found in containment boxes, hidden around the Old House, or dropped by enemies upon being defeated. All mods are acquired by natural progression of gameplay and no paid loot boxes or micro transactions are present in Control. The area of the hands on demo that I played was known as the Central Research lobby free-roam, which is home to many hidden locations such as the Active Threshold, and the shifting Mirror Maze. I wasn’t able to access all of the areas in the demo, but most of Jess’s supernatural abilities were at my disposal as the area is designed to get a feel for combat and exploration. Lore items were spread around the lobby that offer deeper look at the workings of the bureau, but given my twenty minute time constraint, I opted to bypass most of them so I could focus on combat and exploration. The combat in Control was stunning. 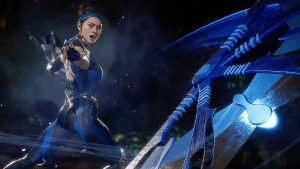 I think it’s one of those games that you will want to explore various ways of executing all of your powers and abilities to perform satisfying takedowns and combos. Jesse has the ability to levitate, evade, and perform a ground slam that can take out several enemies at once if you time and aim it correctly. Admittedly, something I need some work on. You can also use just about any object as a weapon by throwing it with her telekinesis super power. The more I played, the more intuitive Control felt. 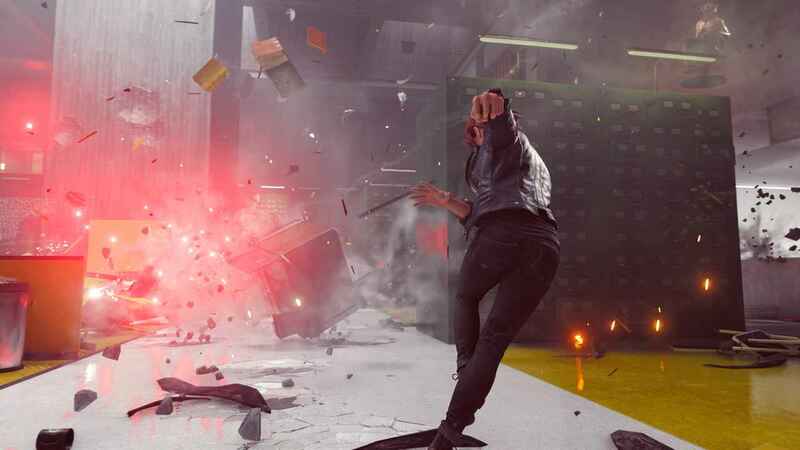 While the game feels entirely fresh and unique, you can definitely feel the influence of past Remedy games such as Alan Wake, and Quantum Break. Given the mysterious Bureau that specializes in the supernatural, I also got the impression that Control was heavily influenced by the X-Files. As a female who has been playing games her entire life and started back when the only female representation in games were non playable characters whose only purpose was male wish fulfillment, it’s nice to see Control feature a female lead protagonist. Actress Courtney Hope who played Beth Wilder in Quantum Break also provides the voice of Jesse Fadden. 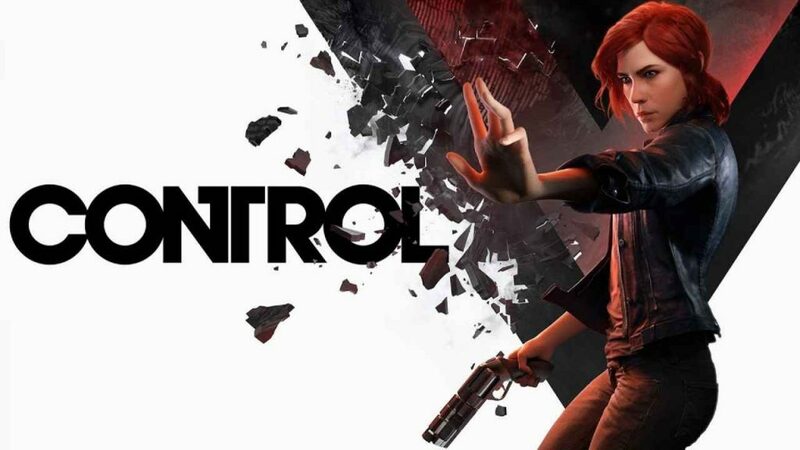 Control is a big game with a linear story that still allows the player some freedom to explore at your own pace. There is a main storyline and missions, as well as side missions that can be completed even after you finish the main quests. Hiss enemies keep coming long after the main missions are completed, and there is also something else that will keep you playing after the credits roll, but the team isn’t ready to talk about it right now. There are two planned expansion packs that Remedy will start working on just as soon as Control ships, The Foundation, and AWE. One of the reasons they wanted to work with 505 Games as their publisher was due to their commitment to the franchise. 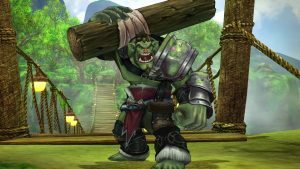 There is also going to be content drops in between the release and the expansions to keep players returning to the game, but the details of post release content is still in the planning stage which will be detailed at a later date. 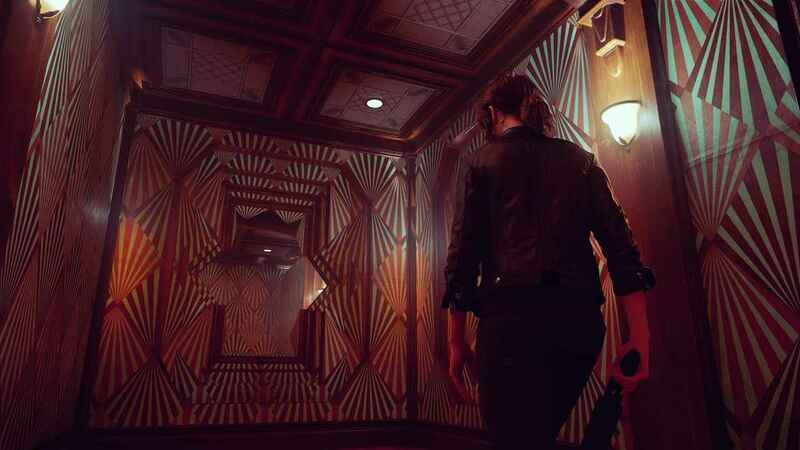 Control was immediately one of those games that attracted my attention from the moment it was revealed, but after getting the chance to play it for myself at GDC, I can’t stop thinking about it. Luckily, I won’t have to wait too much longer, as a release date has finally been revealed. Control will come to PS4, Xbox One, and PC on Tuesday, August 27, 2019. 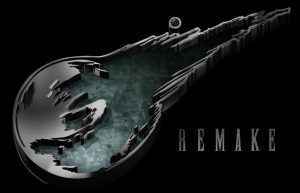 The game is being developed by Remedy and will be published by 505 Games. Starting today you can pre-order both physical or digital copies of the base game to receive two exclusive in-game items, the Tactical Response Gear outfit for Jesse, and a Crafting Resources Pack. PS4 pre-orders will also include additional launch day rewards including Rare Service Weapon and Player Mods, The Astral suit for Jesse, and two themes. Also available for pre-order will be the physical retail-exclusive Retail Deluxe Edition ($69.99) for PlayStation 4 and Xbox One, with collectible FuturePak Exclusive Metal Packaging and limited-edition art cards, and the PlayStation 4 Digital Deluxe Edition ($79.99), which includes all of the content from the PlayStation 4 base version as well as an extra side mission, “Isolation” and an additional exclusive outfit, Jesse’s Urban Response Gear. This version will also come with two Expansion packs, “The Foundation” and “AWE” (available at a later date following launch). Each pack will contain new locations, story content, side missions, and mods. Big thanks to everyone at Remedy and 505 Games for letting me try out Control while I was at GDC. Be sure to check back for all important Control news and updates.